For much of 2015/2016, God’s people in Crafton Heights are seeking to be attentive to Christ’s call to follow as expressed in the Sermon on the Mount. On September 13 we celebrated two baptisms as we considered the words of the Beatitudes as found in Matthew 5:1-12. The other reading was I Corinthians 1:18-25. Two authorities, each telling the same truth, right? And yet, in the telling, we see and hear meaning that is slightly different. The information may be largely the same, but the added details and inflection really communicate meaning, don’t they? 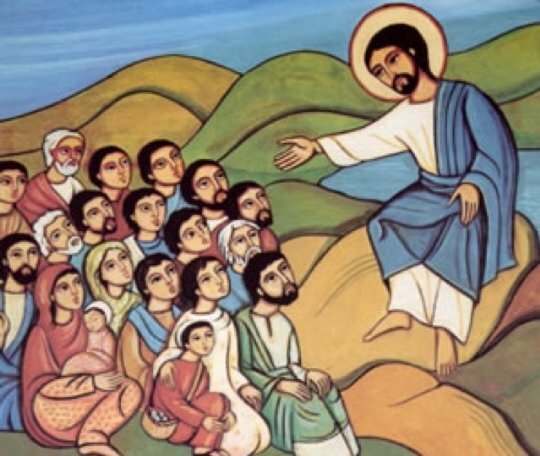 Last week, I announced my intention to try to preach through the Sermon on the Mount, which is considered by many, including myself, to be the greatest example of ethical teaching ever written. And when we started, we considered Luke’s introduction to the sermon, which he calls “the Sermon on the Plain”. That makes sense for Luke’s audience, which has just read about Jesus’ descent from the mountaintop following a night of prayer and the naming of the twelve apostles. Now, says Luke, it’s time to learn. When Matthew frames the story, however, he’s not only thinking about the participants in the story, but those who are reading his account. And so he agrees with Luke that the sermon took place above sea level, but since Matthew is writing to a crowd that is primarily of Jewish origin, he knows that when a man of faith goes up a mountain and reveals truth, well, it imparts a little different message. In the scripture you just heard, Jesus and his followers climb the mountain, and then Jesus sits. The disciples and the crowd gather around him, and then he speaks. From the mountain. The symbolism is powerful: Jesus is the new Moses, and here we are about to receive the definitive interpretation of the Law of God. 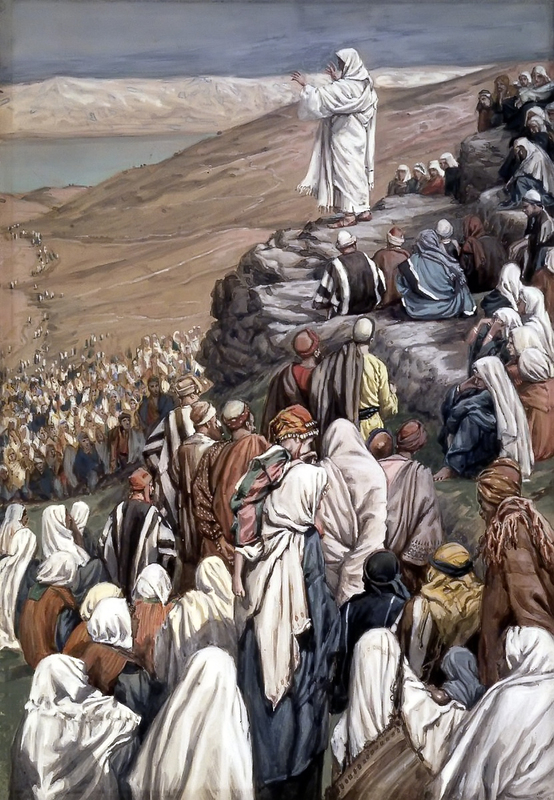 Just as Moses led the people to the mountain in Sinai, and they gathered around it waiting to hear the commandments, now Jesus leads the people up the mountain and reveals to them what it means to live those commandments out. In this beginning, Jesus is clearly introducing a new understanding of what it means to be makarioi or ashré in Hebrew. But what does it mean to us? In our language? Today? I came to understand that when Mikhael used the word “congratulations”, he was essentially saying, “good for you”, or “that’s exactly how it’s supposed to be”; that’s what should be happening now. I think that is the essence of what Jesus is saying when he says, “Blessed are the poor in spirit…” “Congratulations to those who are…” or “Good for you when you are…” Like Psalm 1, the meaning is not one of “happiness” or being overjoyed, but rather being found in the exact right spot at the right time, following Jesus and walking with God. The Sermon on the Mount begins with these descriptions of what right living looks like as Jesus pronounces his blessing on those who are his first followers. As he does so, he gives them a sense of what is to come and where this path of discipleship will lead them. When Dietrich Bonhoeffer commented on the beatitudes, he noticed that there is a progression here – that they flow from one to the next. Blessed are the poor in spirit, says Jesus. When you have left your vocation, your family, and your identity behind to follow a new rabbi, you are, in fact, poor. Blessed are those who mourn… And wouldn’t mourning be a logical response? We grieve what is lost – and when we lose the core of who we have been as we walk towards that which we are becoming, it would seem as though mourning is a typical reaction. Blessed are the meek… that is to say, when we have left all that we know and said goodbye to who we have been, then meekness is a logical result because we will tread very carefully in uncharted waters. When a person has emptied him or herself of many of the core elements of their identity, and through a time of grief has begun to learn an entirely new way of life, there must be a yearning to fill up what is empty. “Blessed are those who hunger and thirst for what is right” is a way of saying that those who are faithful will desire to be filled with the stuff that truly makes for life. When the followers of Christ come together in a community, they will find it to be one shaped by mercy. As each disciple realizes that she or he is learning an entirely new way of being, she or he will be bound to extend grace to her or his fellow-learners and to take on the pain of others. Furthermore, these people will be pure-hearted, as with single-minded devotion they pursue the best that God offers, and will not be distracted by that which is less than Godly. As they do this, the followers of Christ will discover that they have in fact become partners with Jesus in offering themselves for the world. Our English translation says “blessed are the peace-makers”, but there is a richness to the original that suggests someone who not only makes for peace, but who cultivates and enjoys and spreads peace. Bonhoeffer puts it this way: “…they who renounce possessions, fortune, rights, righteousness, honor, and force for the sake of following Christ, will be distinguished from the world. The world will be offended at them, and so the disciples will be persecuted for righteousness’ sake…It is important to note that Jesus gives his blessing not merely to suffering incurred directly for the confession of his name, but to suffering in any just cause.” When people who follow Jesus and are shaped by Jesus wind up living like Jesus, they should not be surprised that the first fellowship that they share is the fellowship of the cross. The blessing that Jesus attains is the blessing that he offers to his followers. 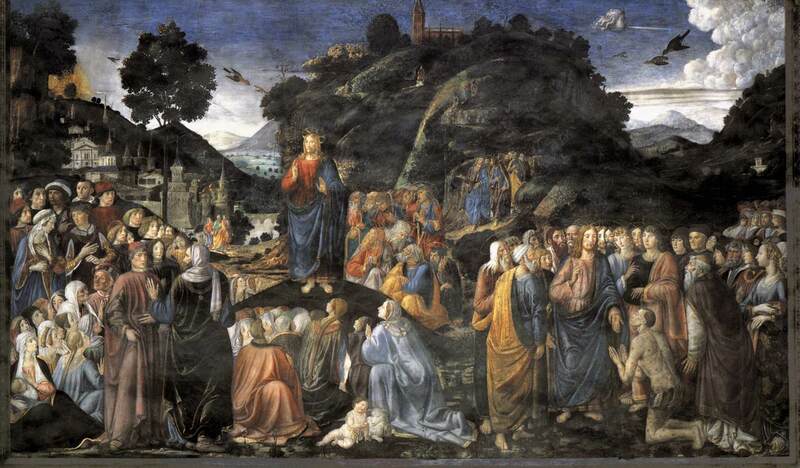 In a nutshell, that’s how the Sermon on the Mount begins: the beatitudes announce God’s good words in the lives of those who follow the call and journey into the unknown with Jesus. And I have two comments to make in response to these beatitudes. First, we have to be realistic and admit that by most objective measures, this is sheer nonsense. I can’t tell you how many times I’ve spent with a young person offering counsel as to how to respond to a certain situation in a way that would please God only to have a parent step in and say, “Well, no offense, Rev., but Jr., pay absolutely no attention to what Pastor Dave is saying here. That man is full of pie in the sky.” And I would add, frankly, that this applies to the two young boys we’ll be baptizing this morning. Sure, we all smile and nod as the scripture is being read, but are you really going to invest yourselves in the next decade or decade and a half teaching Colton or Liam to renounce themselves, to be hungry for only that which Jesus can provide, and to seek the paths of mercy and peace? You’ve got to be crazy, Dave! I know. I’m an idiot so much of the time. The kind of life to which the beatitudes call us is contrary to our experience, counter-cultural, and, to be honest, un-American. It is, however, the only way of life to which Jesus calls us. And note with me, please, that these statements are not advice. There are no imperatives here. Jesus is not saying, “Try to be a little more poor in spirit. Work on being a peace-maker.” These are simple statements of truth: if, because you have left something less in order to hold onto Christ, and find yourself to be poor in spirit, grieving, merciful, and so on, then you are to be congratulated or blessed. You have it right, and are walking in a place that is consistent with God’s purposes for the universe. When a baseball hits top or face of screen in front of bleacher wall and bounces back on playing field, that ball is considered in play. Yet if the same baseball hits top of screen and drops between screen and wall OR bounces into the bleachers, then it’s a home run. 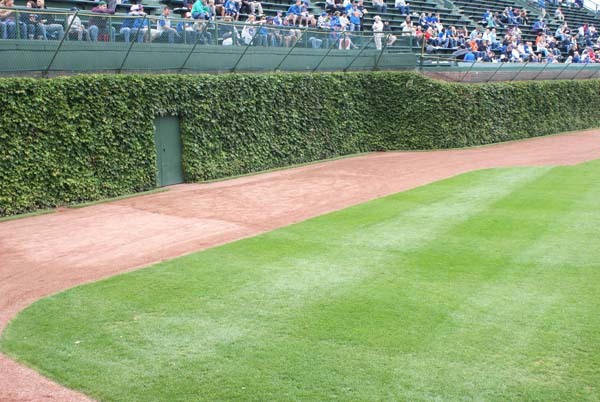 When a baseball sticks in screen in front of bleachers, or gets stuck in the vines on the bleacher wall, the batter is awarded a two-base hit. But if the baseball hits the vines and then comes out of them, it’s in play and nothing is assumed. As arbitrary as they might be considered on certain days, those are the ground rules at Wrigley Field. It’s the Cubs’ ballpark, and they establish the rules by which both teams play. You might have a different idea as to what should happen if a ball gets stuck in the mesh or lost in the vines, but it’s not your call to make. In the same way, these conditions that Jesus outlines for faithful living: being poor in spirit, humble, hungry for what is right, and so on – they are not really up for discussion. Jesus of Nazareth, the pre-existing Son of God who created the cosmos and everything in it, gets to set the ground rules. He’s not asking me to be merciful. He’s simply saying that people who show mercy will receive it. He’s not talking me into being a person who honors peace; he’s simply saying that a condition of life in the universe is ultimately consistent with peace. But Jesus, we say, how do we live into that reality? How do we become people who follow you into these places? The instructions for living into that reality are contained in the passages that we’ll read in the weeks to come. For today, let us simply accept his declaration as true. The starting point – the ground rules – indicate that everything we know about blessedness or happiness comes from God, and that the most popular ways of achieving what the world calls “happiness” or “fulfillment” are not the best. Let us acknowledge that we are called to trust Christ and to point others – even little guys like Colton and Liam – in a Christ-ward direction so that they, and we, can sit at his feet as he explains, and demonstrates, and asks us to live like him. Thanks be to God for that set of ground rules. Amen.